Sisense’s industry-leading BI and Dashboard software allows companies to maximize retention by seeing 360° of all their business data. Turn your online trading data into an insights powerhouse. Sisense business analytics and data visualization allows Forex and online trading companies to cross reference and explore their complex data on the fly. By having an easy way to analyze all of your big and disparate data systems in one place, Forex companies increase retention and maximize ROI. Sisense offers an entirely new way to deliver actionable analytics, with greater power and flexibility than any other BI tool on the market. Our unique technology has already won the hearts of Forex heavyweights for its agility, ease of use and value. Sisense business intelligence and reporting software provides real-time data visualization and analysis to give businesses a competitive advantage in the online trading and Forex industry. Non-technical business users can easily join multiple data sources into one centralized location, build interactive dashboards and reports, and share with the entire team in one click. 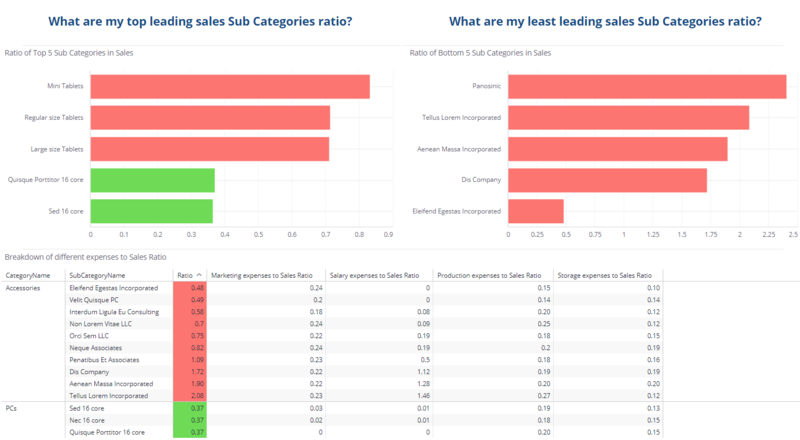 Plus, Sisense can be embedded to produce customer-facing dashboards.